There are some nasty bugs going about. Below is a leaflet from Sheffield NHS telling us about one of them, we have also had a lot of children with a general vomiting bug. 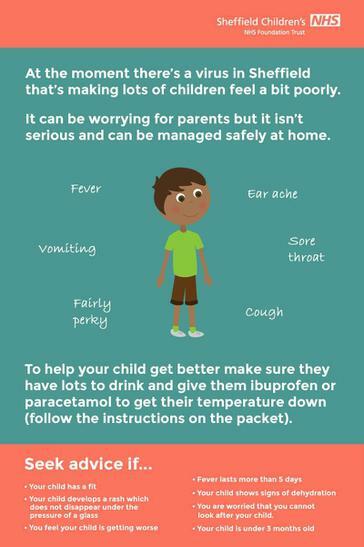 Be vigilant - look out for signs your child is unwell and remember the 48-hour absence from school rule to reduce the risk of infections spreading.